Tikaani and Aiyana are stunning, I've not seen markings like Aiyanas on any other dog, are you bringing them both to the meet on the 29th? WOOOP! Havent seen Aiyana since we last met down the kennels! Aww your dogs look lovely! 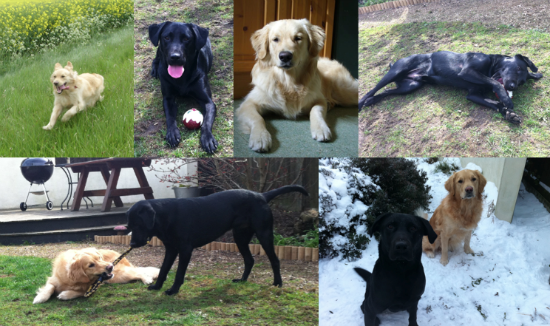 Florence24 wrote: Aww your dogs look lovely! We are hoping to breed our mares & we are currently re-backing the stallion so hoping to take him out to some comps. You will have to come and see them one day. I did some stuff with the RDA when I was younger, its really great to help out & they seem to love it! They are stabled just outside Ipswich in a private yard owned by someone we know. We rent a few stables and a huge field so plenty of room You are welcome to visit sometime! I try not to take Storm through fields where there is livestock or horses. Mainly because he is so strong and tries to get to them! The other week we ended up walking through a field with sheep in it!!! !